Beatles FAQ: When did Elvis Presley play bass with The Beatles? When did Elvis Presley play bass with The Beatles? On August 27 1965 in The King's Bel Air mansion. 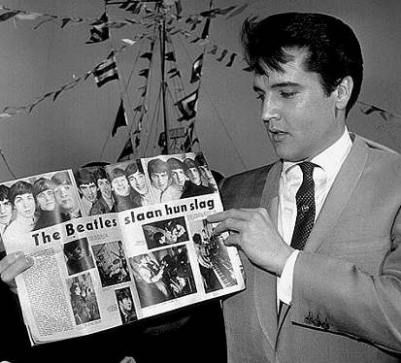 The only meeting between The Beatles and Elvis Presley took place at John Lennon's request - made a year earlier during The Beatles first US tour. Brian Epstein persuaded Elvis' manager, Colonel Tom Parker, to allow a 'social call' to Graceland - but under strict conditions. There would be no recordings or photos or press conference. 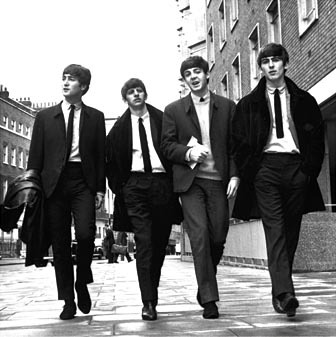 The Beatles were elated at the prospect of meeting their hero. But when they arrived in Memphis they discovered that the King had just left town. Lennon was particularly disappointed and his resentment was evident when he arrived at Bel Air. Things got off to a sticky start. The other Beatles were star-struck while John behaved strangely - his first words to Elvis being delivered in an Inspector Clouseau-style comedy French accent. The King was bemused and small talk spluttered to a halt while a TV played in the corner. Finally, Elvis joked that they'd better play some music or he was going to bed. Guitars were produced while Ringo slipped off to play pool with the King's security staff. Unlike Frank Sinatra, Elvis liked The Beatles music but his favourite Lennon & McCartney track was Cilla Black's version of You are My World, which he had on his jukebox. When the guitars arrived he took the lead vocal and played bass. They then ran through various rock and roll standards before Colonel Parker shepherded the young men from Liverpool back to their limousine.